A home roof replacement can be expensive, especially if you are not able to file a home insurance claim to cover some of the cost. Because of this, you don’t want to replace a roof before it is necessary, but you also shouldn’t delay when a home roof replacement is needed. Your roof is a critical protective component that must remain in excellent condition in order to do its job. Identifying key signs that you need a new roof is something all homeowners should know how to do. Remember that your roof serves several vital purposes, such as promoting energy efficiency, creating a waterproof barrier, protecting against the elements, preventing pest infestations, and more. If you notice these signs, a home roof replacement may be necessary soon. You might know that a typical roof has a lifespan between 20 to 30 years, but there is considerable variation outside of this range. The roof type and the weather conditions that it has been exposed to are major factors that impact a roof’s life. Also, a roof that is properly maintained and has been repaired at the first signs of damage may last longer than a roof that receives little or no maintenance over the years. Shingles are supposed to lie flat at all times in order to effectively do their job, but age and damaging forces impact their condition. For example, aging shingles or those that have been damaged by exposure to UV rays may curl upward at the edges. Aging or damaged shingles may also buckle upward to create a clawing or cupping appearance. Any time shingles are warped, they need to be replaced. 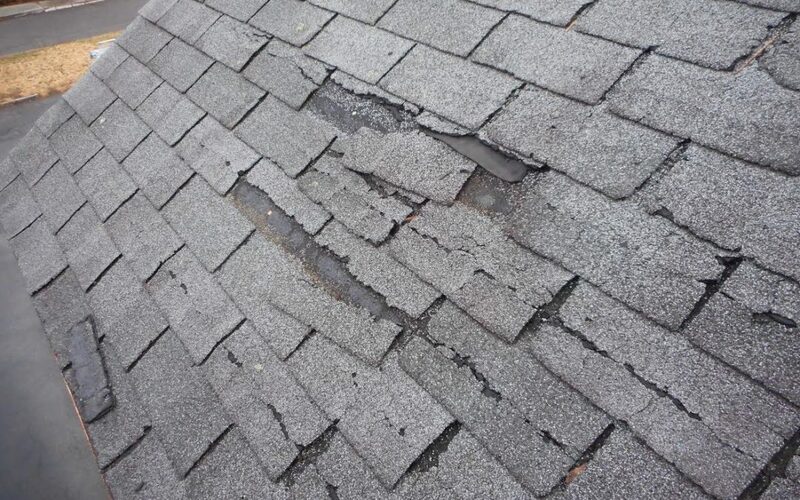 When this type of damage to your shingles is widespread, a full roof replacement is needed. While some shingles will become damaged and remain affixed to the roof, others may blow partially or completely off. When you look up at your roof after a strong storm, you may see several patches of missing shingles or areas where shingles are skewed at an angle. Minor damage across small sections of a roof that is otherwise in good condition can usually be repaired. A home roof replacement is necessary when damage is substantial, and this is particularly true when the roof materials are aging. If your home has asphalt shingles, you may know that shingle texture is comprised of small granules. As the shingles deteriorate with age or the elements, the granules will begin to break free. When this happens, a significant amount of granules may be washed off of the roof in a rainstorm. When your shingles begin losing granules, your roof is vulnerable and it’s time to start thinking about a new roof. The best way to determine if you need a home roof replacement or if a repair will suffice is to schedule an inspection. An inspector can check out your roof and provide you with personalized insights about the best ways to care for your home. Redtail Building Services offers drone services to inspect inaccessible roofs. Contact us for a roof inspection or any of our other inspection services.